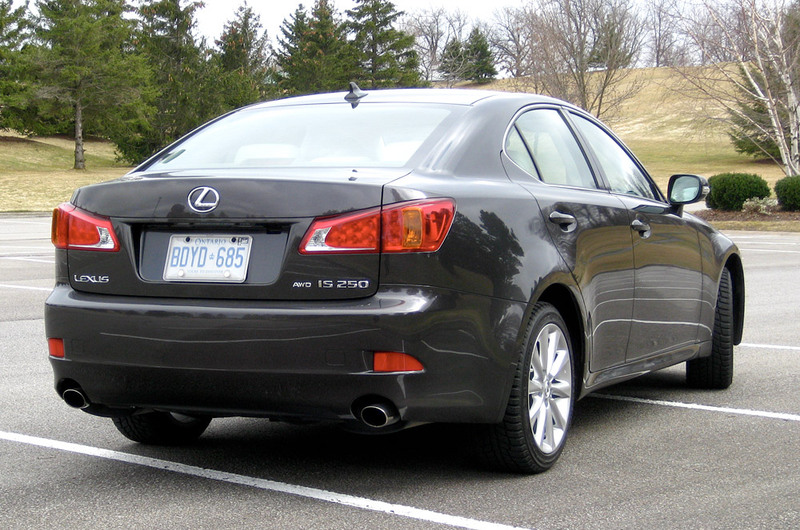 The Lexus IS has a special place in my heart. It was the first Lexus I ever drove, back in 2000. It was my birthday, and my future-wife surprised me with a lengthy test drive of a yellow first-generation IS 300, courtesy of Performance Lexus in St. Catharines. I had only just received my driver’s license, and the experience of driving that IS 300 remains one of my favorite memories. 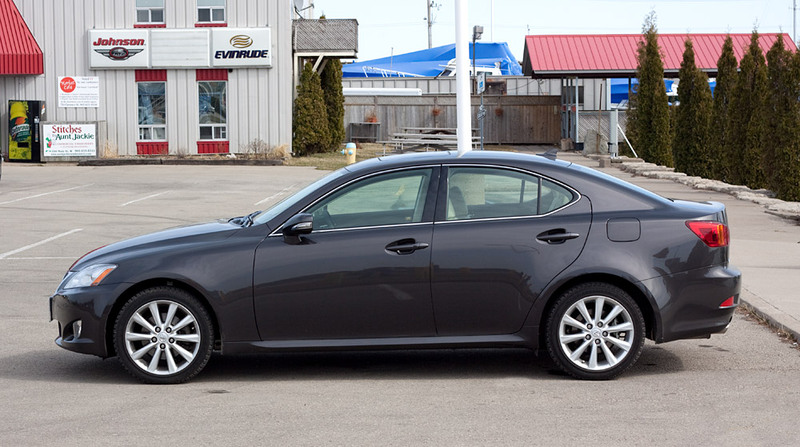 Fast-forward nine years, and I’ve picked up a second-generation IS 250 from Lexus Canada for the purpose of review, another memorable moment. With All-Wheel Drive, Truffle Mica exterior, Ecru leather interior, the car makes an immediate impression. But how did it hold up after the initial excitement? Right from the start, the IS 250 feels underpowered. It’s most noticeable in the sluggish acceleration, and while there’s definitely some power in the V6 but it’s buried high in the dial, right about where you should be slowing down instead of speeding up. Considering the IS 350 boasts a 102hp advantage over the IS 250’s 204hp, a certain lack of pep has to be expected, but it made for some initial disappointment. 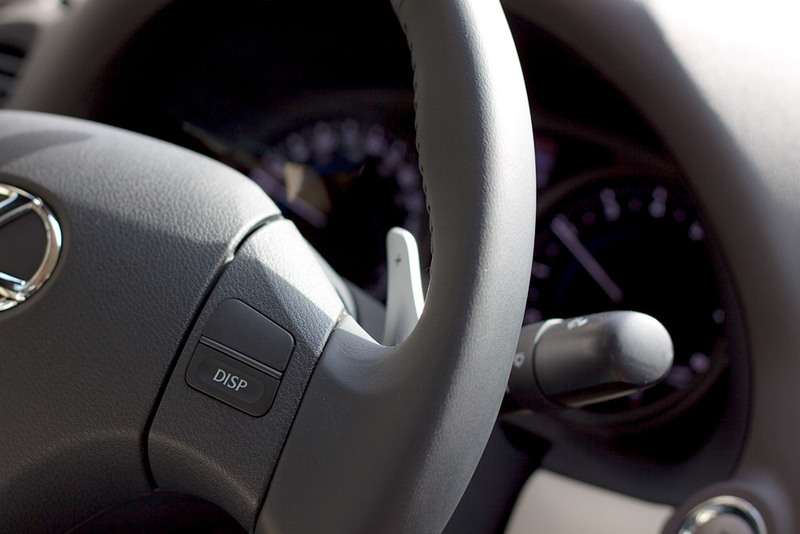 Acceleration always becomes a different game with direct control over the transmission, especially as a solution to an overly tame automatic mode. As my first extended use of paddle-shifts, there was a dose of pure amusement, but there’s no question they made for a much more engaging drive, and I much preferred them to using the shifter in Sports mode. 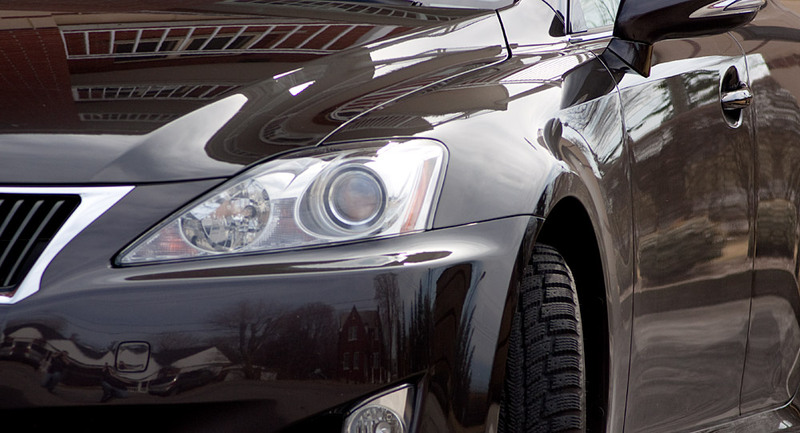 All-Wheel Drive gives the IS 250 a trump card over the IS 350, and it’s a system that excels in its handling and increased safety in poor weather. The steering was heavy and predictable, and I could certainly feel the increased grip on the road, which allowed for some spirited driving in the corners and provided a feeling of all-round stability. Too bad the IS was still in winter tires, as they added a bulky layer to handling that I could have done without. They also made judging road noise and feel much more difficult. It does open up one of the best things about this model. There’s a lot of flexibility in the design, and it’s easy to picture the IS in almost any wheel type. The exaggerated wheel bulge also adds a lot of character. The full gallery is posted here. The standout area of the IS 250 was the interior — extremely comfortable, everything easily understood. The steering wheel had a nice grip, and the leather seats were fantastic. The Ecru creme leather doesn’t seem all that practical, but that became a secondary concern once settled in. It’s basically impossible not to use the word buttery to describe the feel, and it made for a very luxurious touch. 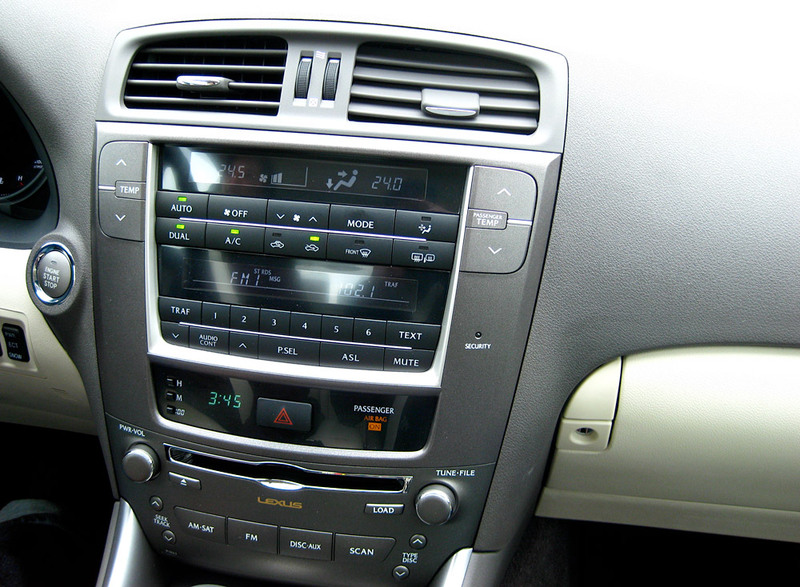 I was impressed with all the materials, including the dash, which had an unnaturally soft feel to it. It worked well with the leather. Flowing down to the shifter, the interior design becomes spartan, and featured a single cupholder (the other cupholder is located in the arm rest). This, more than anything, demonstrated the singular focus of the IS as a driver’s car. It’s altogether typical of a sports sedan, but it’s worth pointing out that the rear is suitable only for small trips or small children. So much of the IS 250’s appeal is sensory — the strong road feel, clicking through gears, the absolutely fantastic interior materials — they combine well for a memorable experience. On a whole, the car felt very natural, and really created that “like-a-glove” feeling expected from a sports sedan. I did find myself wishing for more power, but the AWD did prove itself as a nice trade-off. 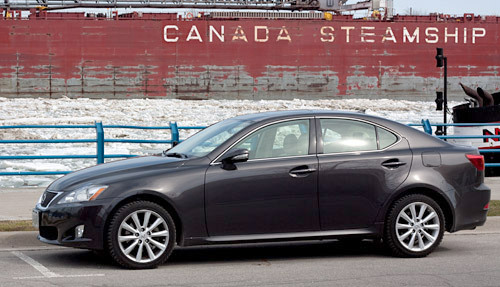 Thanks to Lexus Canada for providing this IS 250 for review, and to Billy Plante for helping with the photography.